The competitive nature of the business world means that entrepreneurs are constantly on the look out for the next big tip to propel them to the next level. Mr. Hanzo Ng, or Grandmaster Hanzo, is a sales guru and motivator who was a participant in the last Apprentice Asia. He is the founder of The Sales Ninja Group, a sales training company that specializes in helping companies transform their sales people into the ultimate sales professional, using techniques and business ideas developed by Grandmaster Hanzo. Today he shares his 6 secrets to mapping our way to sales success. The new year usually sees entrepreneurs and business-owners setting a new target for their annual sales turnover. However, achieving the figures is often a major task and may determine the growth or sometimes the survival of a company, especially of small and medium enterprises. In order to progress in life‚ one has to improve every day in an endless process. Improvement is one of the 10 codes of the Sales Ninja. It is also, in my opinion‚ the most important one. A neverending improvement mindset will allow anyone, any company‚ under any circumstances to thrive in their business undertaking. Sales Ninja Grandmaster Mr. Hanzo Ng gives 10 contemporary sales strategies to improve any sales or business person’s performance. Rapport is all–important when dealing with clients and potential clients. Here‚ we look at some ways to build it. A creative consultant turns his martial arts passion into a sales training program. 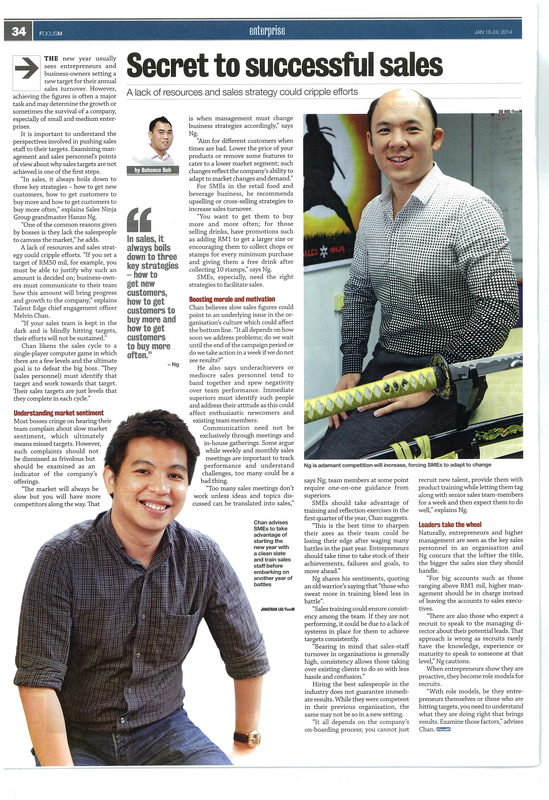 Sales Ninja Grandmaster Mr. Hanzo Ng is interviewed.